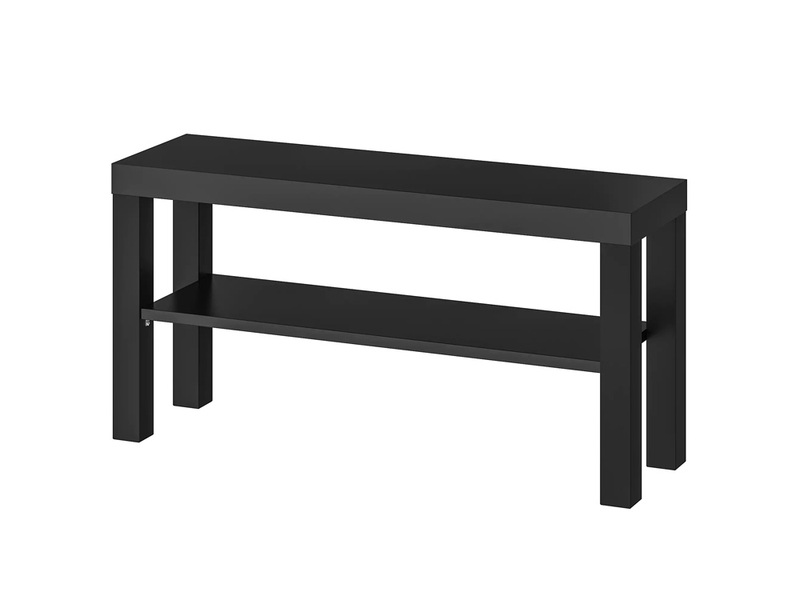 This black, lightweight TV table is simple and fits anyone's budget. Its simplicity makes it easy to match in any living room and bedrooms. 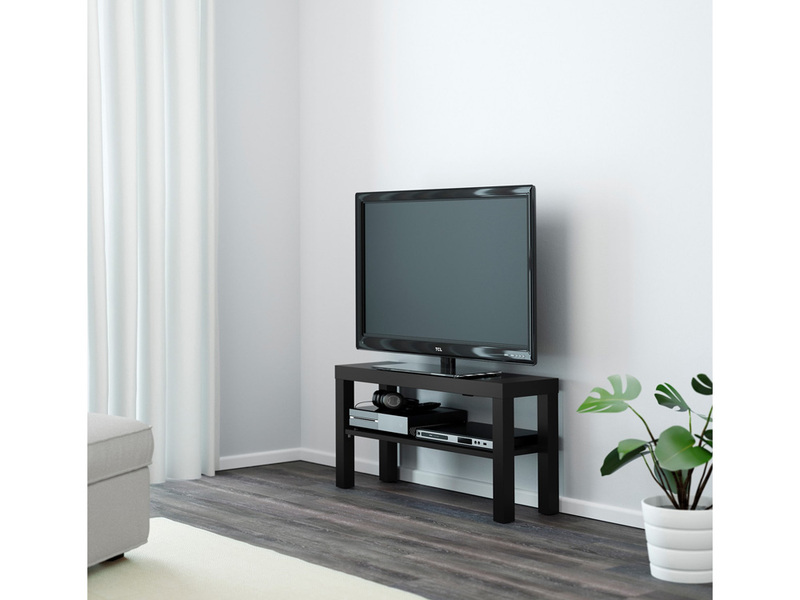 One shelf in the middle portion allows you to store your tv devices or books. Check our living room full packages for a complete look.